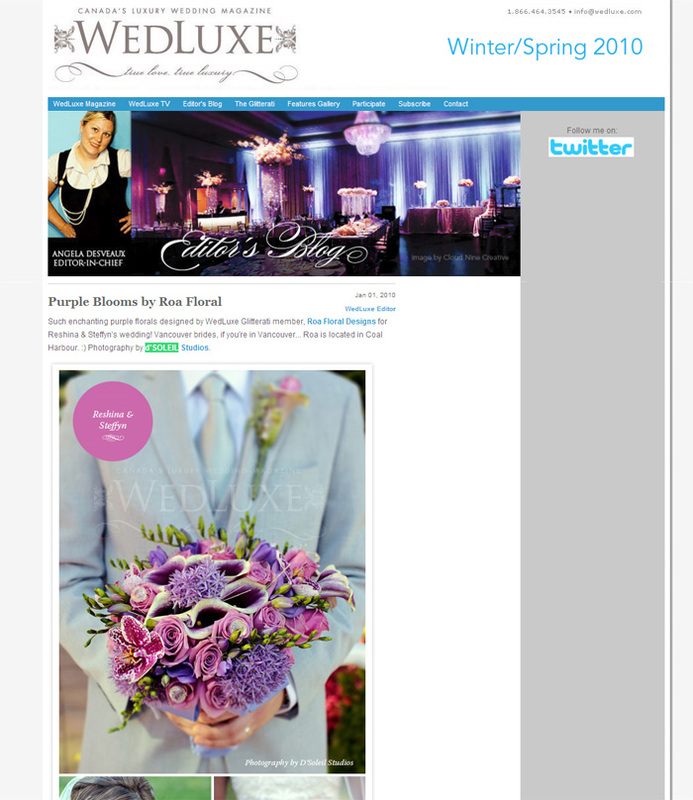 CC Roa contacted me a few days ago to let me know that my photos were featured on the Wedluxe Magazine Blog on January 1st! What a great way to start off 2010! They featured a few photos from Reshina & Steffyn’s wedding last summer. CC did the decorations and floral arrangements for their wedding, which was a fantastic event at Swan-e-Set in Pitt Meadows. I had a fantastic time as Reshina & Steffyn’s wedding photographer. Be sure to check out Steffyn’s band, Bullets Over Beauty. Thanks Wedluxe!